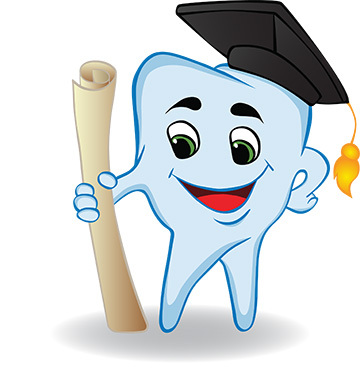 Chesapeake Detnist | Worry About Wisdom Teeth? Unless you’ve ignored problems with your wisdom teeth, or haven’t been to our dental office in Chesapeake lately, you shouldn’t worry about them at all! The wisdom teeth are technically called the third molars. They usually start to come in during the late teens and early 20s, when many people are in college or starting new jobs, hopefully learning and gaining wisdom! There are several reasons why wisdom tooth extraction may be necessary. Your wisdom teeth may damage neighboring teeth, crowding and pushing them out of alignment. They may be impacted, meaning they’ve only partially broken through the gums, or haven’t broken through at all. If we don’t need wisdom teeth, why do we still get them? Good question! Scientists are studying that but we still don’t know the answer. What’s interesting is that in some areas of the world, almost 100 percent of people don’t get wisdom teeth, and in other areas nearly 100 percent do get them! One thing we do know, it’s not wise to neglect regular dental care, or to ignore any tooth pain. Contact us at our Chesapeake dental office if you’re experiencing any problems or if it’s time for a regular checkup! Prevention is always a smart move, especially when it comes to wisdom teeth! ← These Teeth in Chesapeake Were Made For….